Let this charming 9 ½ acre rural property capture your heart and inspire your dreams whilst you laze away the pressures of your busy life. Don't let this one get away... The property features a beautifully renovated 3 bedroom home with outstanding treatment to all areas. The modern kitchen overlooks a wonderful paved alfresco courtyard for summer evening dining and connects to a formal lounge and dining room with rich polished timber floors and glorious garden views, whilst the remaining open plan family room looks across the verandahs and garden to excellent pastured paddocks. The master bedroom features a clever walk in robe and is situated right next to a warm cedar lined bathroom with a huge corner spa! Each of the 2 further bedrooms has a peaceful garden view. 2 Air-conditioners and a warm log heater provide perfect comfort throughout the year. On the school bus route - there is a Primary school in nearby Swanpool and Secondary Colleges in Benalla and Mansfield. Plenty of garage and shedding space plus 3 carport spaces mean you're always undercover and rainwater tanks and a bore means there's loads of water all year round too! You're nearby to both the Strathbogie Ranges State Forests and our summer playground Lake Nillahcootie or wander over to Mansfield, Mt Buller and Lake Eildon for action all year round! With loads of acres for the kids to play or ride horses across, this tastefully decorated home and its delightful rural setting is central to a wonderland of year round fun. Come on! Soak up some of our Real Country Lifestyle! 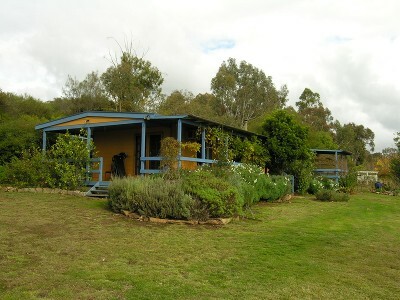 Call us today and arrange an inspection of this outstanding country property package.